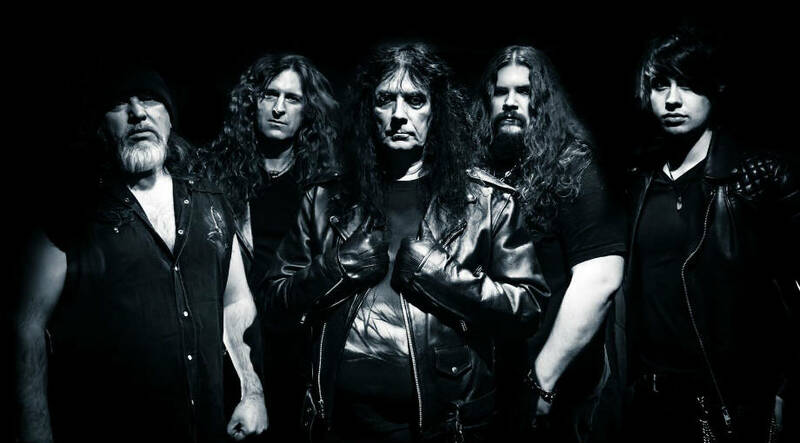 Who can doubt Blitzkrieg's influences on the early days of heavy metal, notably the stylistic movement that showcased the next phase of Birmingham's pounding metal--the New Wave of British Heavy Metal (NWOBHM). Blitzkrieg formed in Leicester, UK in 1980 and soon released three demos. The single "Buried Alive" was released in 1981 and the B-side track, "Blitzkrieg", is arguably the band's most well-known song. The track was covered by Bay Area icons Metallica on their "Creeping Death" single and later included on Garage Inc. as well as the re-release of Kill 'Em All. The band have released eight studio albums and recently celebrated the 30th anniversary of their pivotal full-length debut 'A Time of Changes'. Earlier this month the band announced a new record deal with Denmark powerhouse label Mighty Music.